While they're resilient, your child's teeth aren't invincible. Daily hygiene and regular dental visits are important, but you should also be alert for problems and take action when they arise. Here are 4 areas that could cause problems for your child's teeth, and what you should do — or not do — if you encounter them. Teething. This is a normal experience as your child's first teeth erupt through the gums. The gums become tender and painful, causing constant gnawing, drooling, disturbed sleep and similar symptoms. You can help relieve discomfort by letting them bite on a chilled (not frozen) teething ring or a cold, wet washcloth. Pain relievers like ibuprofen in appropriate dosages can also help — but don't apply ice, alcohol or numbing agents containing Benzocaine directly to the gums. Toothache. Tooth pain could be a sign of decay, so you should see us for an examination. In the meantime you can help relieve pain with a warm-water rinse, a cold compress to the outside of the face, or appropriately-dosed pain relievers. If the pain is intense or persists overnight, see us no later than the next day if possible. Swollen or bleeding gums. If you notice your child's gums are red and swollen or easily bleed during brushing, they could have periodontal (gum) disease. This is an infection caused by bacterial plaque, a thin film of food particles that build up on the teeth. You can stop plaque buildup by helping them practice effective, daily brushing and flossing. If they're showing symptoms, though, see us for an exam. In the meantime, be sure they continue to gently brush their teeth, even if their gums are irritated. Chipped, cracked or knocked out tooth. 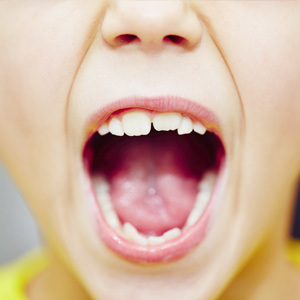 If your child's teeth are injured, you should see us immediately. If part of the tooth has broken off, try to retrieve the broken pieces and bring them with you. If it's a permanent tooth that was knocked out, pick it up by the crown (not the root), rinse it with clean water and attempt to place it back in the socket. If you can't, bring the tooth with you in a container with clean water or milk. The sooner you see us, the better the chances for saving the tooth — minutes count. If you would like more information on what to do when your child has dental problems, please contact us or schedule an appointment for a consultation.